It’s official, 2018 has arrived and we’re gearing up for what is going to be one heck of a year here in the Sudbury area. There are so many events and festivals happening all-year-long that it’s virtually impossible to be bored in 2018. Starting this month, there are some unique and fun activities happening right here in Sudbury. Winter in Northern Ontario can be challenging for even the toughest individual. Take a break from the sub-zero temperatures and sign-up for a cooking class this winter at Verdicchio Ristorante. Just-in-time for Valentines Day, there is an Italian cooking masterclass taking place right now. Over five evenings you’ll learn the ins-and-outs of proper Italian cooking, with the final class taking place on Feb. 12th, so you’ll be ready to cook a fabulous Italian meal for your significant other. If you’re getting a little antsy and want to get out of the house and maybe break a sweat, why not try cross-country skiing under at night at the Walden Cross Country Fitness Club? It’s the Night Lights Race Series! Whether it’s your first time skiing or a veteran at the sport, it’s an absolute blast to wear a headlamp and test your skills at cross-country skiing. It’s an inexpensive way to have fun and stay active. It’s back for its 6th year and we couldn’t be more excited to experience African culture and a whole lot of fun. 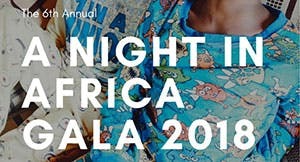 The Africa Gala takes place on Apr. 7th and guests will be treated to an evening of African food and wines from across the continent, a silent auction with curated artifacts from Kenya, a safari-themed photo booth, African decor, live entertainment, and a lot of fun. Step outside your comfort zone and celebrate African culture right here in Sudbury. If you’re a gearhead, motorhead, or another type of automotive fanatic, Monster Spectacular is the event for you. 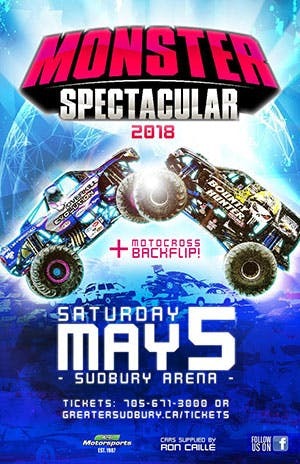 You’ll be able to smell the exhaust and hear the motors roar as these monster trucks crush cars, race, and do battle in a fun, family-friendly environment. Kids and adults who are kids at heart will love this event. Are you ready for the Northern Lights Festival Boreal? With Summer in full-swing, spending a hot summer day and cool summer night watching awesome entertainers from around Northern Ontario is a great way to spend some time.This non-profit organization is dedicated to promoting young local artists. Come enjoy some fantastic entertainment and cheer them on. 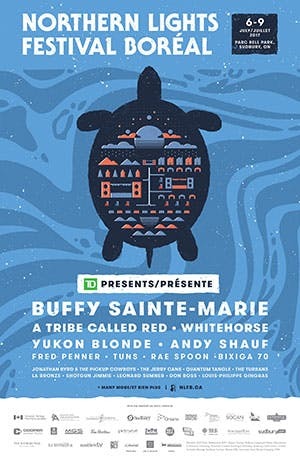 As summer comes to an end, it’ll be the perfect time to attend the 2018 Sudbury New Music Festival (NMF). While the acts haven't been announced yet, the NMF is back again and ready to bring you big and small bands from across North America. It’s your last chance to make the most of the lingering summer weather before it disappears for another year. Bring your friends and have a blast—just make sure you have a designated driver if you decide to drink. Look out hockey fans! 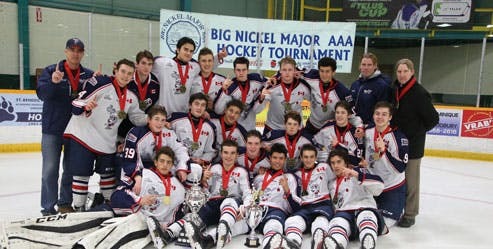 The Big Nickel Hockey Tournament is back for another year and will see ‘AAA’ junior hockey players from across the province and the country compete for the championship and bragging rights. Come check out these young, eager hockey players and cheer them as they battle for junior hockey supremacy. Of course, these are only a taste of the many events and festivals happening in the Sudbury area in 2018. We encourage you to make the most of everything Sudbury has to offer, so jump in your vehicle and go experience everything Sudbury and Northern Ontario have to offer.